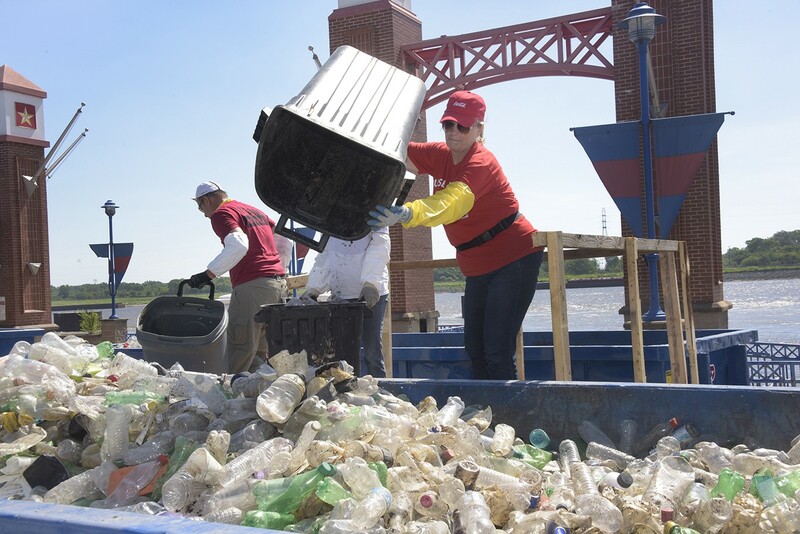 Coca-Cola associates collecting debris from the Mississippi River near St. Louis, Missouri. According to the United Nations Environment Programme, global materials use is expected to reach almost 90 billion tons in 2017 — three times more than the amount used 1970. We’re using (and wasting) our natural resources at a rapidly increasing rate. We’re acting like we’ll never run out. In 2009, we introduced PlantBottle™ packaging, a groundbreaking innovation made from up to 30% plant-based materials. For years, we’ve been working to make our packaging 100% recyclable. And you may have noticed some of our bottles are lighter than they used to be. While those are steps in the right direction, we don’t intend to stop there. 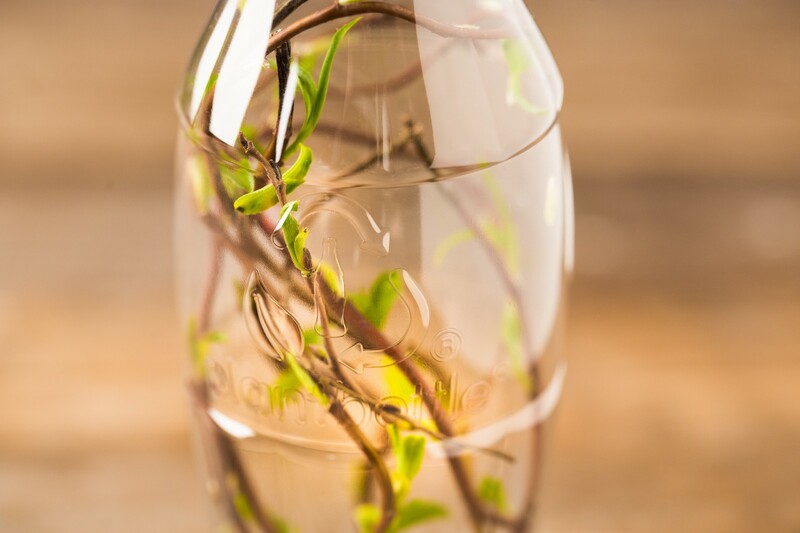 We’re searching for new ways to make plastic more innovative and sustainable, and we are working to include more recycled material in our plastic bottles. PlantBottle(TM) packaging from The Coca-Cola Company. 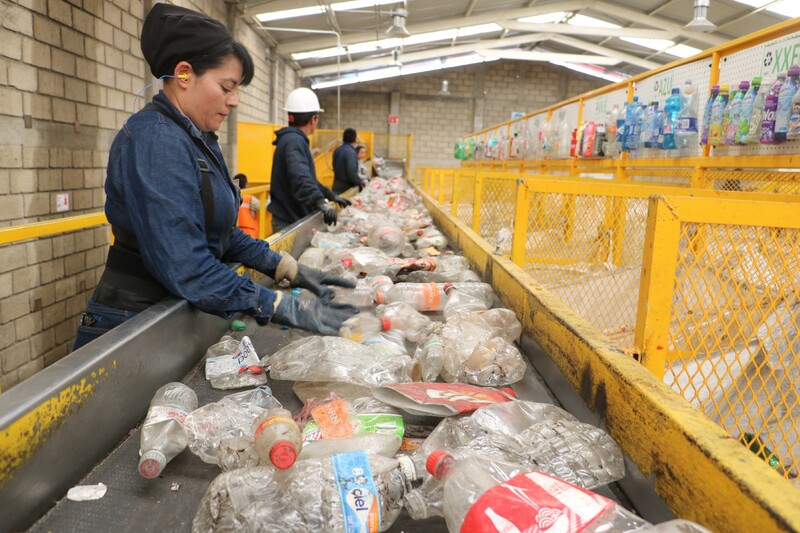 Coca-Cola bottlers joined the Mexican plastics industry and others in 2002 to create Ecology and Corporate Commitment (ECOCE), a non-profit organization dedicated to encouraging a culture of recycling. We also invested to help create the country’s two food-grade PET plastic recycling facilities, IMER and PetStar. Those investments have paid off. In 2016, Mexico recycled 57% of the PET plastic it produced (up from 9% in 2002), making it a leading country globally for recycling PET plastic. PET plastics being separated for recycling at the PetStar facility outside of Mexico City. Since 1995, we’ve been the lead sponsor of the world’s largest volunteer effort on behalf of ocean health — Ocean Conservancy’s International Coastal Cleanup. Over the course of that partnership, we’ve helped mobilize 11 million people to clean up 206 million pounds of trash from over 360,000 miles of coastline.